Where’s the beef? Who cares! 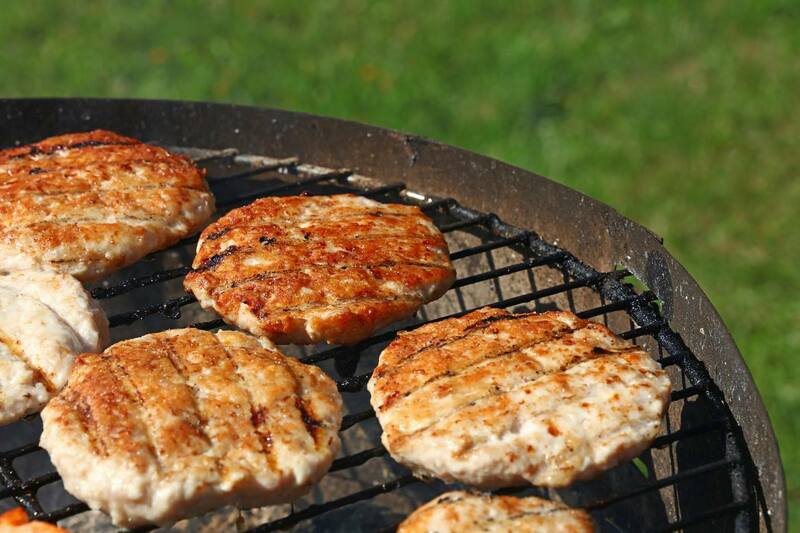 Ground turkey burgers are becoming increasingly more popular as a tasty grilling option. Turkey is considered a leaner meat and is a good option for a healthier diet by reducing the amount of saturated fats consumed. Saturated fat is the type of fat that can stay in the arteries and could possibly lead to heart disease. When you are picking a meat to eat, it is best to pick leaner meats with less fat in them. However, when cooking turkey in any form, it is important to cook it to the proper internal temperature of 165 °F. 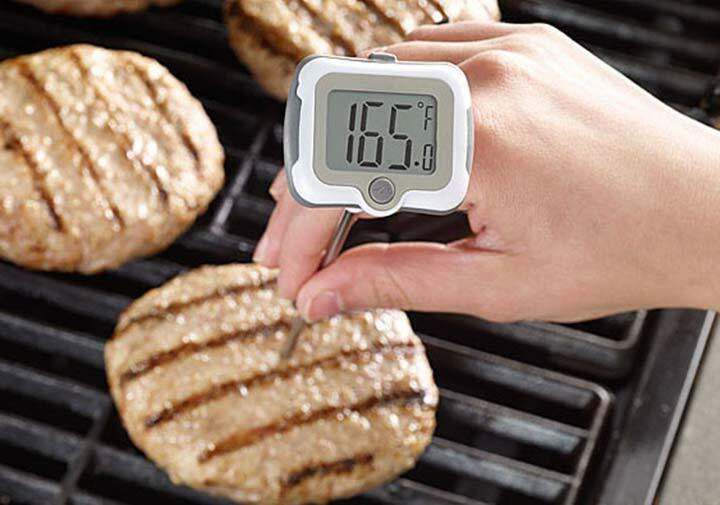 Cooking ground turkey to the proper internal temperature is especially important due to the bacteria that are introduced into the meat mixture. Bacteria found inside the turkey gets mixed into the ground meat during processing. Federal law requires food processors to create a Hazard Analysis and Critical Control Point (HACCP) for safety plan. For turkey processors, HACCP food safety includes steps for washing and chilling carcasses throughout processing to reduce the growth of harmful bacteria and contamination of the finished product. But, HACCP doesn’t require eradication of harmful bacteria. In fact, bacteria is permitted in up to half of the ground-­turkey samples that the USDA’s Food Safety and Inspection Service (FSIS) tests at processors’ plants. And microorganisms that remain can keep growing until the turkey is cooked. According to the National Turkey Federation, the most common microorganisms contributing to foodborne illnesses associated with turkey are Campylobacter jejuni, Clostridium perfringens, Escherichia coli O157:H7(E. coli), Listeria monocytogenes, Salmonella, Shigella and Staphyloccocus aureus. These bacteria can lead to severe foodborne illnesses, especially in young children, older adults, and individuals with compromised immune systems. Always handle raw turkey carefully and cook it thoroughly to prevent food poisoning. Raw turkey products can have germs that spread around food preparation areas and can make you sick. Therefore, careful management of temperatures is an important way to control bacteria. You should always use a food thermometer to check temperatures. Cold Storage. When you buy meat at the store, purchase it last and bring it home quickly to refrigerate. If not using within a day or two, freeze the meat (thaw frozen meat under refrigeration — do not leave it out to thaw). Turkey must be kept frozen (0ºF or lower) or refrigerated (35º to 40ºF) until used. 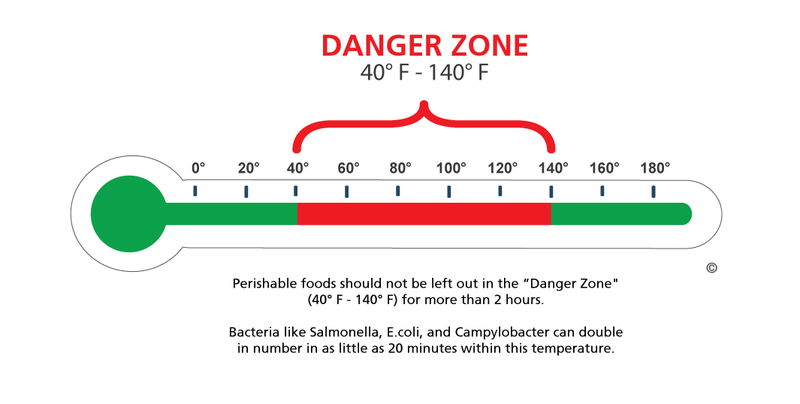 Keep raw as well as cooked turkey products out of the 40º to 140ºF bacterial growth danger zone. Cooking. Cook raw turkey thoroughly to kill harmful germs. 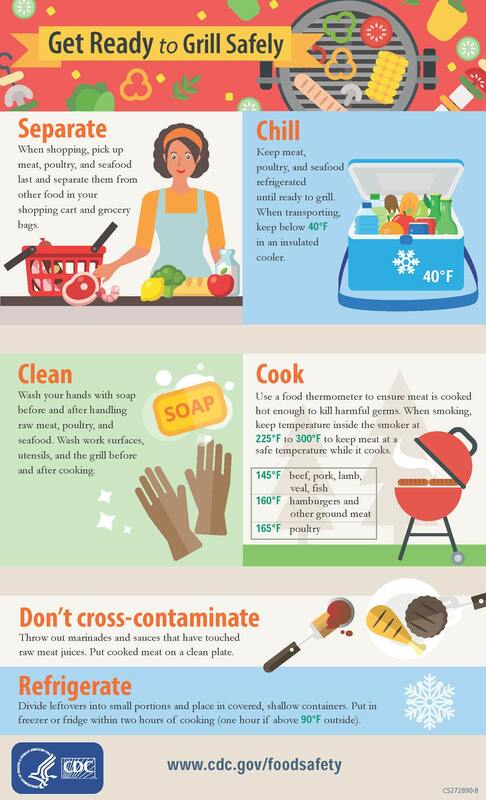 Turkey breasts, whole turkeys, and ground poultry, including turkey burgers, casseroles, and sausage, should always be cooked to an internal temperature of 165°F to kill harmful germs. Leftovers should be reheated to 165°F. Use a food thermometer to check, and place it in the thickest part of the food. After Cooking. Never let raw or cooked turkey stand at room temperature or in a warm oven at less than 200ºF or in a holding device at less than 140ºF. Wash your hands. 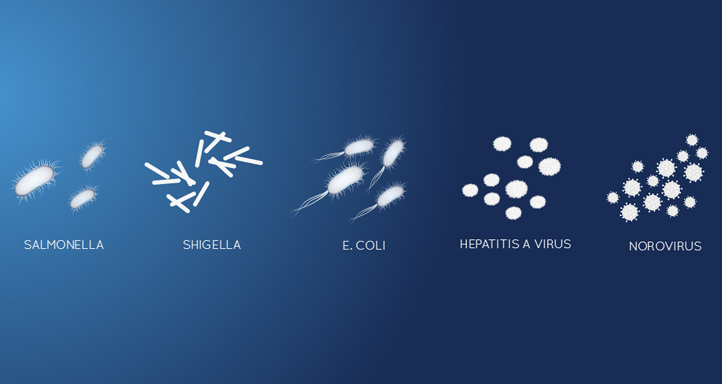 Bacteria infections can spread from one person to another. Wash hands before and after preparing or eating food with warm water and soap. Wash utensils, counters, cuttings boards and sink with soap and hot water. Seal and properly store. Make sure the meat is fully wrapped (place it in a plastic bag before buying) so raw juices do not leak and potentially contaminate other groceries. At home, store raw meats at the bottom of the refrigerator, below items like fruits, vegetables, breads and cheese, to prevent possible contamination from leakage. Avoid Cross-Contamination. Don’t spread germs from raw turkey around food preparation areas. Washing raw poultry before cooking is not recommended. Germs in raw poultry juices can spread to other areas and foods. Thoroughly wash hands, counters, cutting boards, and utensils with warm, soapy water after they touch raw turkey. Use a separate cutting board for raw turkey and other raw meats if possible. Pets. The CDC does not recommend feeding raw diets to pets. Germs like Salmonella in raw pet food can make your pets sick. Your family also can get sick by handling the raw food or by taking care of your pet. Ground turkey is a healthy animal protein choice because it offers lower fat options. Always handle any meat source with care. Keep all meat below 40 °F before you cook it. Cook all meats, including ground turkey, to the proper internal temperatures, to remain food safe.